You will meet a lot of people in your life, make friends, find spouses, however no one in this world is going to love you like MUM! For she is a friend, a life coach and a confidant, this special lady deserves to be celebrated with the most amazing blooms! Here are our top 5 most purchased bouquets for MUM featuring fresh seasonal flowers and soft feminine colours. Take a look, you might find just the perfect one to surprise your loving mother and add an extra special feel to the upcoming holiday! 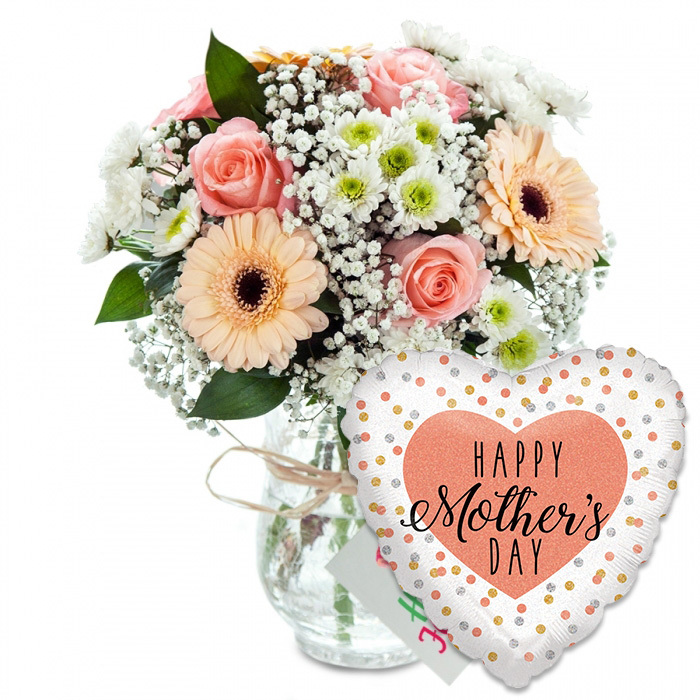 This lovely combination of freshly cut spring blooms and a festive Mother's day balloon is one of the top gift sets to send to mum. The inspiring sight of this captivating bunch is definitely going to bring fragrance and brightness into her home. Our florist did a pretty good job combining graceful tulips and sun-kissed daffodils, don't you think? Sweet feminine blossoms are guaranteed to melt mum's heart, especially if we are talking about some heavenly roses! Roses are among the most beloved flowers all around the world, and while the red rose is the most popular symbol of romantic love, pink roses speak of gratitude and appreciation. What better way to say "Thank you mum for always being there for me!" 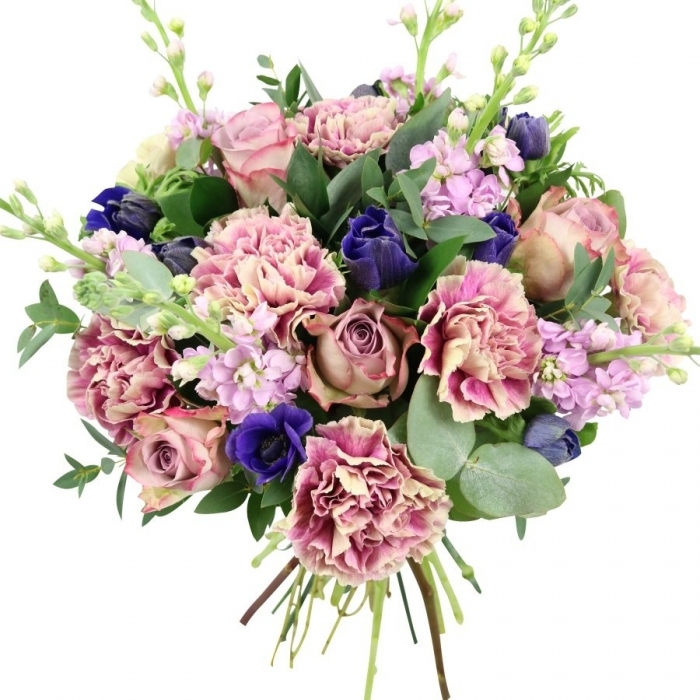 Pink is also present is this super trendy bouquet which is perfect for all modern mums out there. Featuring fresh roses, bouvardia and chrysanthemums, this pampering floral gift will certainly deliver your warm wishes, true love and appreciation! Its modern design is guaranteed to make a lasting impression! Nature's finest blooms are combined to create a lovely bouquet bursting with feminine feeling and sweetness. White and creamy blooms represent the kindness of a mothers, her loving attitude and good heart. Should you go for this touching gift, we will add a cheerful Mother's day balloon to make the surprise even more delightful! 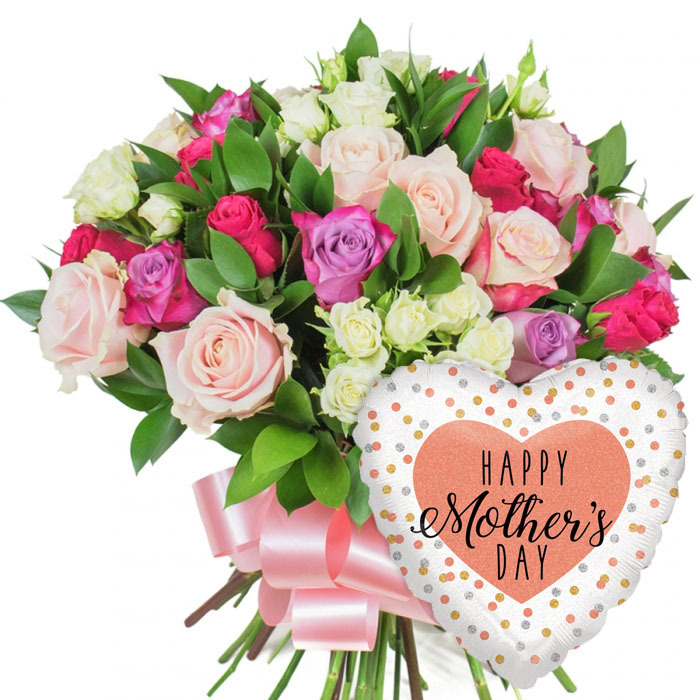 For all the classic mum out there, we have a truly elegant arrangement to deliver your loving holiday wishes! Our Noble Beauty consists of fancy roses, exquisite carnations and fresh anemones. It is a truly stylish arrangement to remind mum how deeply cherished she is! Breathtaking, chic and vibrant - 3 words that our customers use to describe this boquuet! 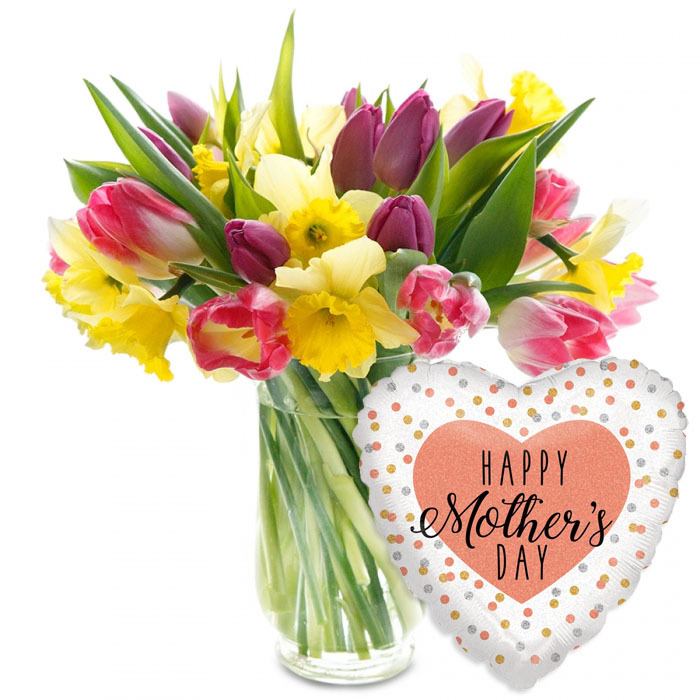 At Handy Flowers, we believe that MUM should be celebrated each and every day! Be it with a sweet text message, long phone conversation or a thoughtful flower gift, let her feel loved and appreciated! Happy Mother's Day!